So, guess what the most popular New Year’s Resolution is this year. And guess what the most popular New Year’s Resolution was last year. And guess what New Year’s Resolution I’ve made every year for the last as long as I can remember. Yeah, you guessed it. Lose Weight. If you’ve been anywhere near the internet the last few days, you’ve probably seen posts all over the place. ‘These are my resolutions’, or ‘I don’t make resolutions, but these are my goals’, or ‘resolutions and goals are the same thing, and I don’t make either’. I’ve seen a lot of posts, just about the new year in general. I have a semi complicated relationship with New Year’s Resolutions, and New Year’s in general, that I’m guessing a lot of people can relate to. The intelligent part of my brain knows that there is no special magic to the dawn of a new year, nothing that will make it so that where there was no willpower before, there is now plenty to spare, no real truth behind the idea that somehow when the clock strikes midnight, everything will be different, you will be different, I will be different. But, 2014 and I were not the best of friends. Heck, 2014 and I were, at times, mortal enemies. And while I definitely worked on those things, I wouldn’t look at any of those goals and check of the ‘accomplished’ box next to them. The best thing I can say about 2014 is that it’s over. So, time to make some resolutions? Not really. Not the same way, anyway. This year is different. I am different. Or I’m working on being different, I guess. I mean, are those all things that I would like to happen this year? Sure. I think those are very common things that a lot of people want, New Year’s Resolutions that a lot of people made this year. And I’ll work on making those things happen in some fashion. But in terms of making resolutions, I made just one. That’s it. To be happy. In the moment happy. Happy with myself, just the way I am, right now, happy. Happy with my life because it is amazing happy. Happy about the incredible family and friends I have happy. Happy because I have so damn much that how can I not be happy happy. Happy about the endless possibilities that come with being happy happy. It’s so little. To be happy. But really, it’s so much. 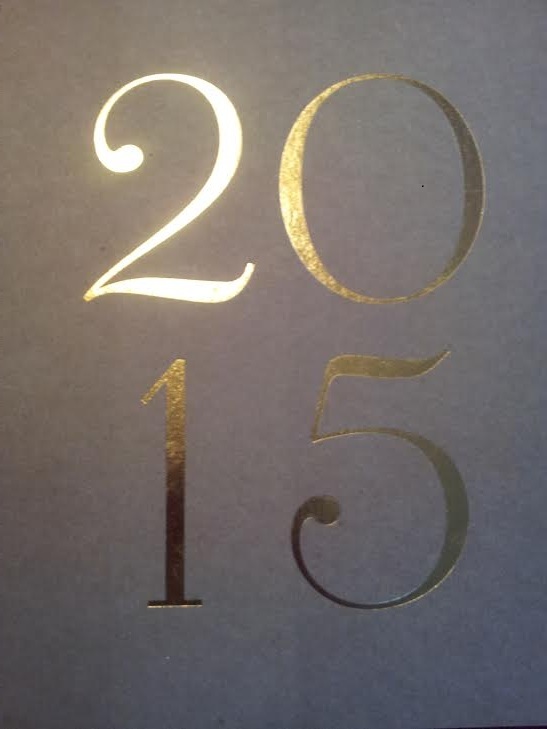 2015 is here and I’m so happy about that. New year, new me. Do you make New Year’s Resolutions? What are yours? This entry was posted in Uncategorized and tagged new year's, new year's resolutions. Bookmark the permalink. I’m with you. Every year, I want to lose weight. Every year, I gain weight. 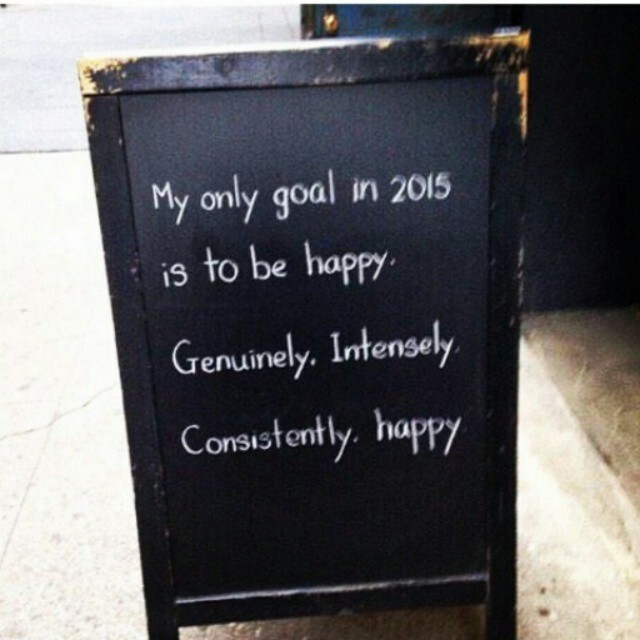 But this year’s goal is to be honest with myself. Maybe by admitting to myself what I’m doing by overeating and overspending, it will be easier to actually do what I need to and end up losing weight and spending less money.